NEW CONSTRUCTION! Built by an award winning builder, this coastal home will impress! 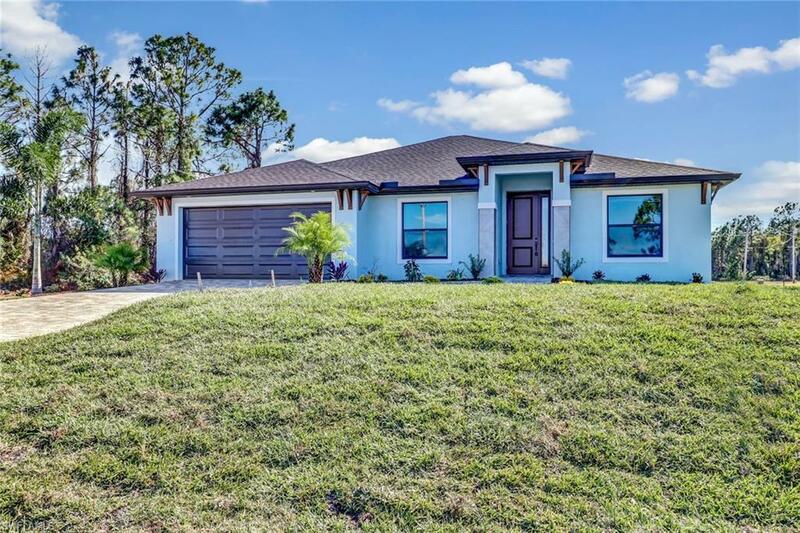 This concrete construction POOL home features 4 bedrooms, 2 bathrooms, brick paver driveway and lanai. Full landscaping package including a 4 zone irrigation system. The interior features trey ceilings, 12x24 tile throughout the main areas with carpet in the bedrooms. White 36" Shaker Cabinets throughout with granite counter tops, Moen plumbing fixtures, and stainless steel appliances. Large master bedroom with a huge walk-in closet, dual sinks in the bathroom, and a separate tub and shower. Over sized garage great for storage! This home is super spacious and perfect for a large, or growing family. Pictures will be updated periodically. Other sites to choose from for the same price! Projected completion date is late December! Listing courtesy of Jeremy Sposato of Sposen Realty & Development.